When you get to be a middle-aged man like me, you have forty-nine years of learned behavior to guide your actions and decisions — even when you know your choices aren't necessarily for the best. Our mental blueprints (including our money blueprints) are deeply ingrained and tough to change. Don't worry. I haven't turned into a spendthrift or anything. But I've been thinking a lot lately about how certain parts of my past continue to affect me, sometimes in huge and annoying ways. For instance, I fight an ongoing battle against a scarcity mindset. I haven't been able to master the abundance mindset. 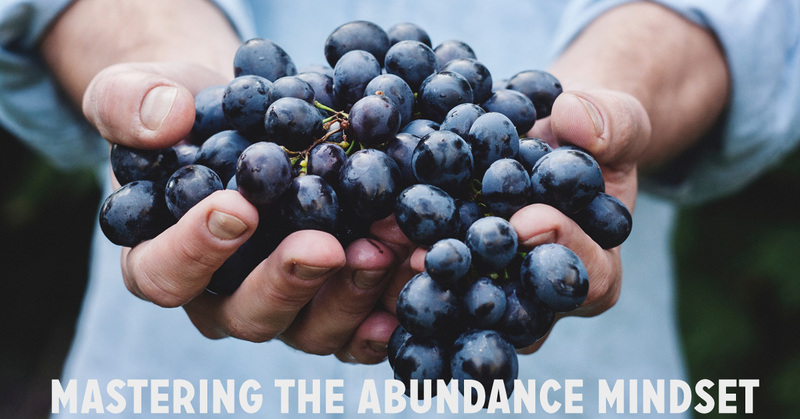 I've been reluctant to talk about scarcity and abundance because the terms have been co-opted by “Law of Attraction” types who use them to encourage magical thinking. I hate the New Age-y approach to these concepts. I want to discuss them from a psychological perspective. With a scarcity mindset, you believe that everything is limited. Time is limited. Money is limited. Love is limited. This causes you to worry about the future. You're consciously or unconsciously more concerned with what might go wrong than with what could go right. You make fear-based decisions. You're afraid of missing out. You're afraid of not having enough. You have trouble with moderation and often exhibit “all or nothing” behavior. With an abundance mindset, you believe there's plenty for everyone. There's plenty of wealth, prestige, and happiness to go around. You're optimistic about the future. You think things will work out even if there are bumps along the way. You make decisions based on the Big Picture rather than a single snapshot in time. It's easy for you to balance tomorrow and today. All of this — the collecting, the addictive tendencies, the lack of self-control — stems from a scarcity mentality. But I didn't realize it until a few years ago when my therapist helped me see the source. Over the past year, my deeply-seated scarcity mindset has begun to manifest itself in another annoying way. Kim and I know without a doubt that we'll use the deck and hot tub nearly every single day of the year. (TMI: Currently, she and I both take several hot baths each week. If we had a hot tub, we'd be able to soak together.) It's not a question of whether we'll get value from building an outdoor oasis. No, the problem is that I've reached some sort of mental breaking point. I recognize that this is my scarcity mindset kicking in, yet I cannot shake these feelings. They're a part of my money blueprint. Here's the thing: In so many ways, financial freedom depends on casting aside this scarcity mentality and embracing an abundance mindset instead. Financial well-being is fundamentally tied to positive expectations of the future. Let's look at three ways the scarcity mindset can manifest itself — and how to embrace abundance instead. For some, the scarcity mindset manifests as jealousy and spite. These folks resent the success of others, financial and otherwise. They find it tough to be happy when something good happens to a friend or family member. They're territorial, reluctant to co-operate toward a greater common good. People with a scarcity mentality tend to see everything in terms of win-lose. There is only so much; and if someone else has it, that means there will be less for me. This type of scarcity mindset is the source of the average American's love-hate relationship with wealth. Most people want to be wealthy — but are suspicious of those who already are. They typical person believes that when she makes money, it's a result of hard work and skill. But others who get rich? They're lucky jerks who don't deserve it. People with this form of the scarcity mindset don't just hold back themselves but they keep down the people around them. This usually manifests as gossip and griping. Sometimes these people “keep score”. In extreme cases, they actively work to sabotage the success of others. People with this type of scarcity mindset are a drag on life, a net negative to the world at large. Don't compare yourself to other people. Focus on yourself, on your own goals and accomplishments. If you must compete, compete with yourself. Strive for constant self-improvement. Practice a win-win approach to life. Look for ways to improve your own situation while also helping those around you. When faced with a conflict, don't try to be the “victor”; instead, work toward a solution beneficial to both parties. Jealousy and spite can be overcome, but it takes work. Making the effort is a great way to change your outlook, creating a better life for yourself and the people around you. For others, the scarcity mindset manifests as fear of the future. These people think and act like children of the Great Depression. They're so worried about how bad things could get that they're unable to recognize and enjoy what they already have — even when they have a lot. I once met with a woman who had over $6 million in the bank. She was my age — mid forties — and lived a modest lifestyle. She wasn't overly frugal, but she didn't spend a lot either. Plus she had just landed a job that paid half a million per year. Nice position to be in, right? Not to her. She was scared to stop working because the didn't want to run out of money. Based on standard assumptions about inflation and stock market returns, this woman could probably spend $240,000 per year for the rest of her life and still die rich. (That's without taking into account her new $500k per year position!) Her spending was closer to $50,000 per year, yet she fretted about not having enough. Other folks are more extreme. I've known retirees who have millions in the bank but who are so frightened of the future — inflation! peak oil! stock market collapse! — that they won't spend on needed home repairs and health concerns. What good is all of that money if you're dead or your house falls down around you? These folks aren't harming anyone else (at least not directly), but they're doing severe damage to their own well-being. They sacrifice happiness today in order to have more tomorrow — but they never enjoy tomorrow. People with this type of scarcity mentality never have enough. No amount of money will allow them to sleep soundly at night. If you have more than enough stashed away and still fret about the future, force yourself to spend. I'm dead serious. Pick something you've always wanted to do or have, and go get it. Money is a tool to build a better life. If the tool sits unused, what's the point? Finally, there are the folks like me, people who find it tough to wait for what they want. We're “shopaholics” and compulsive spenders. With our flavor of the scarcity mindset, we're so skeptical about tomorrow that we enjoy too much today. We want it all and we want it now. A decade ago, when I still struggled with money, I had nothing saved. No retirement, no nothing. What I ought to have been doing was paying down my debt and building a foundation for the future. Instead, I was spending everything I earned on books, comics, and computer games. It never occurred to me to wait. I wanted things now, so I bought them. As I mentioned at the start of this article, my therapist helped me to understand that growing up poor had given me a loathing of uncertainty and an inability to delay gratification. My money blueprint was largely constructed around a fear of missing out. During my transition from spendthrift to money boss, I learned to put off potential spending. I learned to wait for the things I wanted. Like the last group, people with this sort of scarcity mentality never have enough. But the lack manifests in a different way. Instead of needing more money, we need more Stuff. We buy and buy and buy and are never satisfied. There's no amount of possessions that will make us happy. When you see something you want, make a note of what it is, where you saw it, and how much it costs. But don't buy it yet. Over the next 30 days, be on the lookout for free or cheap alternatives. Does the library have that book? Can you borrow that tool from a friend? Could the local thrift store have a similar shirt? At the end of 30 days, if you still want the item then consider buying it. In most cases, however, you'll find the urge to purchase has passed. Also practice moderation. Recognize that most things in life don't require an “all or nothing” approach. You can have some, and that's okay. Finally, keep a gratitude journal. The fundamental problem with this type of scarcity mindset is not appreciating what you already have. Force yourself to catalog the good things in your life. A scarcity mindset leads to self-defeating behavior. It sabotages your chances for future financial success. Even when a Depression-type scarcity mentality helps you accumulate piles of cash, you're unable to enjoy it. You're afraid to. Fear is always at the heart of scarcity: fear of failure, fear of the future, fear of missing out. Those with a scarcity mindset cling to the notion that there's a limited amount of everything, and they're afraid they won't get their share. We'll talk more about fear (and overcoming it) next week. For now, you should recognize that in order to achieve financial freedom, you must adopt an abundance mentality. If you're worried about lack, you aren't free. I've already suggested several ways to fight specific flavors of scarcity. To finish, let's look at a technique anyone can use to move from scarcity to abundance: To get what you want, give what you want. In an amazing article from the academic journal Psychological Science, researchers suggest that “giving time gives you time”. The authors found that spending time on others (instead of yourself) boosts how much time you think you have — in both the present and the future. Many of us feel pressured by the modern world. We feel rushed, as if there's never enough time to do what we want. We feel a lack, a scarcity, of minutes and hours and days. To cope with this, we tend to turn inward. We watch TV. We play videogames. We get a massage. But studies show that “wasting time” like this truly is a waste. When we spend time on ourselves, we feel like the time is lost. That, my friends, is abundance in action. The same idea applies to other areas of your life in which you experience feelings of lack. When I started giving away and selling my Stuff several years ago, for example, I came to realize just how much I had. Before, when I was constantly in acquisition mode, I felt like I had very little. I was wrong. I had mountains of things! If you feel a lack of respect from others, give respect to others. If you feel a lack of compassion from others, be compassionate to others. If you feel like people don't love you, love other people. If you feel broke, donate time and money to the poor. If you feel like you'll never have enough wealth, systematically give away some of what you have. The abundance mentality…is the paradigm that there is plenty out there and enough to spare for everybody. It results in sharing of prestige, of recognition, of profits, of decision making. It opens possibilities, options, alternatives, and creativity. The abundance mindset comes from understanding there's plenty in the world: plenty of money, plenty of love, plenty of time. There's plenty for everyone — both for you and for others. There's plenty now and there'll be plenty tomorrow. Enjoy it! While we were wintering in Savannah two years ago, Kim hustled to get her dental hygiene license for the state of Georgia so that she could earn some money. She spent a couple of days driving across the city, dropping off résumés and speaking with doctors. Soon she started getting calls asking her to do fill-in work while other hygienists were sick or on vacation. She also got an offer for a long-term position at a big office in town. Sure enough. Because she refused to make a fear-based decision, because she chose to believe she'd have more opportunity rather than less, she was able to pick and choose when and where she'd work. She had more offers than she had time. She constantly got new calls asking her to fill in. There are 40 reader responses to "Mastering the abundance mindset (and changing your money blueprint)". Awesome post JD. I tend to fall into the “Never Enough” category. I have depression-era parents, and we grew up with enough, but barely. My Mom especially hammered into me that everything could go to sh*t in a second. On the good side, this mentality helped me get to FI in my mid-40’s. I never had the spending problems you had, my journey took me where you are but very directly. I need to remind myself to put my situation in the context of others, and have more perspective. I never had the spending trouble either, and I struggle with loossening the reigns too! My husband and I grew up fairly financially insecure, so now we have a tendency to hoard our money, and not spend it when needed. Last year with the market boom we finally started giving away our money like I wanted to. It started with just buying coffee for a friend when we went out together and then lead to some fairly substantial donations to causes we care about. Now, I’m working on giving of my time too, since I’ve got a lot more of it on my hands. Thanks for sharing this JD! Yes! This is me! 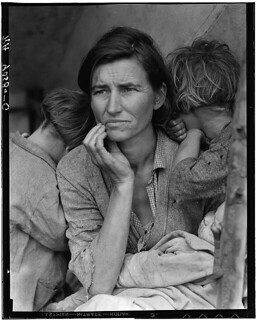 But instead of parents, I was close to both set of Depression Era grandparents. When the financial crisis hit ten years ago, I was sure it was the end. I am 40 and we are on the cusp of FI, even though we’ve never had extremely high paying jobs and we’ve always lived in HCOL areas (NYC, DC, Seattle and we’re moving to Portland). For me it is always – once we do X, I’ll relax. We’ll accomplish X, and then I’ll find another X that we need to reach. I appreciate that this mentality has strengthened our financial picture, but I hate the anxiety. JD has some great advice. If there’s one thing the leak problems in my house have taught me, it’s this — you could spend $5500 to replace the roof, or $5500 to replace the roof PLUS tens of thousands of dollars to replace everything under the roof when the leak rots away the wood underneath it, damages the floor and walls, causes mold in the insulation, and finally caves in entirely and comes crashing down on your stuff (or your head). Suddenly, that $5500 doesn’t seem so outlandish. One of the things I think a lot of people forget to consider is the cost of NOT doing whatever it is you’re looking to do, especially when it comes to things like house repairs. Spending thousands or tens of thousands to do something seems like a lot, but nearly always becomes a lot more reasonable when you factor in the cost of continued neglect, and especially when you spread that cost over the life of the replacement. 1) my success doesn’t diminish yours and your success doesn’t diminish mine. I think the second thing is the trigger for envy, unhealthy competition, etc. 2) I hear you about the past repeating itself. I constantly repeat a cycle of struggling to pay off credit cards, then running them up again. I have a long history of this, and have a plan to pay them off, but I’ve always had plans to pay them off: debt snowball, transferring balances to 0% cards, trying to practice extreme frugality. I ask myself “why is this?” I think it’s a little more complicated than having a scarcity mentality, though that figures in strongly. 3) I know, I said two, but there’s a third. I totally get it about the hot tub. One stumbling block for me has been the home improvement category. We live in an older home and just when you think you’re finished replacing and repairing, something else comes up. Now it’s the kitchen flooring, literally, old linoleum type flooring, coming up. This when what I want is to build a paver patio. I ask myself, can I do both? Maybe. But then what about the commitment I made to plow money at the credit cards and get some cash saved? People are tripping over the flooring when they enter the room so this need is quickly approaching the breaking point. I feel your pain with the hot tub decision. One thing that can help is to ask yourself “how can I get both(/all three) accomplished?” In the case of both house projects, it could be doing the labor yourself. Laying a floating floor is pretty easy if you know your way (or know someone who knows their way) around a saw and measuring tape. The paver patio is a fair bit more labor-intensive, but is also doable, especially with a few friends to help. Maybe you do the kitchen while it’s still cold out and pay off cards until summer. Or, you do the kitchen now, because it’s a need (it’s becoming a safety hazard), and make a deal with yourself that you can get the patio *after* you’ve paid off X credit card(s) (which gives you a goal to work toward). I would love to see a study of the psychological impact of a recession on individuals when the recession occurred in their formative years. I think it’s well known at this point that the Great Depression had such an impact on children in their formative years that a deep scarcity mindset affected most of them. Breaking free of that psychological mindset would be tough. Mastering your emotions and being able to delay gratification is such an important concept for financial freedom. Thanks for bringing it up in this article and also for your honesty with your own personal experiences. My father’s business went bankrupt in the early 1980s. It certainly impacted me. It is only in recent years that I have rewritten the script I learned from him about money and the economy. I’m sure it makes a difference! I grew up in the Rust Belt as the manufacturing jobs went away, so I’ve never trusted the loyalty of an employer or the longevity of any career to remain highly-paid or available. Compared to a lot of people I knew in California, I definitely had more of the attitude of “make hay while the sun shines” and “put enough away for a rainy day (which will definitely come! )” I was also far more cautious financially than people 10 years older or younger than me! In the past I shopped at thrift stores, consequently my personal closet bulged with clothes I almost liked. I justified all purchases because the clothes were used and I “saved” money when buying them. I paid for many items of clothing that I never wore more than once before donating them back to a thrift store. Most took up space in my closet. I justified my purchases because I was getting “a good deal.” I thought my actions frugal when in fact because of my scarcity mindset I spent more money on used clothing than I do now, and now, I only purchase new clothing. Christy, I came to the discussion to say the exact same thing. As a kid who grew up poor (grandma made our clothes or I wore my brother’s hand-me-downs) clothes are my sore spot. My first paycheck as a teen a blew on a Ralph Lauren winter coat because I never had anything new or name brand. Funny that I can still remember that coat. From there I turned into a good deal clothes hoarder. I wear probably a tenth of what I own but I see clothing as too valuable to just donate so instead it piles up EVERYWHERE! I have things that are out of style, things that will never fit, and things that just don’t fit my current job’s dress code and yet I can’t purge them. My goal for 2018 is to list as much as I can on eBay, donate the rest and do my very best to stick to a very curated wardrobe that fits my life right now. I know the scarcity fear is real because I can see it every time I try to close my closet doors (which haven’t closed in years). This seems to be the only area of my life that scarcity mindset has taken over so I’m grateful for that. But it’s time for a change. Interesting. I do mostly resale/thrift clothing purchases these days, because that way, when I make a fashion mistake, it isn’t that big a deal to move it out of my house. Prior to that, I mostly bought new clothes, but very, very boring clothes that I knew I could wear for decades without looking terrible, but not looking particularly good either. For $15 or less, I can buy things I like, and not worry too much about whether they work out or not in the long term. Funny how we all have different baggage to overcome, even with the same situations and tools! Great post. I struggle with the scarcity mindset ONLY when it comes to money. Everything else (love, happiness, time, work, etc.) is fully in the abundance camp. I had a life event about 20 years ago that involved everything I had worked for up to that point and ever since then I worry about money, having enough, or losing it in a snap of the fingers. Ironically I can do the math and I know that I’m fine. However, having the intellectual insight does not mean having the emotional trauma dissipate. I have to remind myself all the time, you can afford to do x or y. You won’t be out on the street if you have to do x repair on the house. I’m not financially independent (yet) but I am well aware of why I react the way I do and how to correct it. Being self aware of the problem is the first step. Being kind and gentle with yourself to understand the trauma and the resultant behavior is second. But that’s what this journey is all about! I do believe we are marked by our childhoods, probably more so than we think. I grew up with a terminally ill sibling and woefully financially ignorant parents. They “couldn’t” save and never did. I am very “tight” with money and prefer to save to make a large expenditure. My hubby lost a parent as a child and also grew up stressed financially. He believe in making a payment. It has been hard to compromise. For example, we live in the boonies and our kids spend most of the summer bored. We have considered putting in a pool. However, we can’t pay cash and would have to make a payment…more debt. The kicker is I have severe rheumatoid and a pool would offer a great low impact way for me to exercise and counter the weight gain from meds. We’ve had several estimates, but I just can’t do it. It’s so much money. We could save that money for retirement. So, I gotta know, are you getting the deck/hot tub? My aunt and uncle installed a pool. To their mind, they shifted the money they would have spent on shorter vacations to something they could enjoy at least four months of the year (Wisconsin). I’m sure you’ve been through this already, but I would want to know: How old are your kids, how much of the year can you use the pool, how much would you spend on other things to “replace” the pool during the same time period, and are you planning to be in the house long enough for it to make sense? You don’t say the cost, but if you amortize it over the time you expect to live there and subtract the cost of coming up with other options and driving to them, does it become more reasonable to you? And then toss in what the value of an improved quality-of-life would be for you and your family: the kids are only with us for a finite time and your health is important! We didn’t adopt a second child because I felt we needed to “save the money for retirement” – one of the few regrets I have in my life. Get the swimming pool!! your kids will have so much fun and you will enjoy it also. I love all your stuff but this one really hit home. I certainly operate with a scarcity mindset. I’m guessing most of us savers do. My wife does a great job providing balance in our life and pushing me to spend on things that have a high priority for us. I feel like I have this mindset today because I’m not yet at my financial goals. I hope and expect that once I reach FI I’ll have more of an abundance mindset. I’m going to start working to change that mindset starting today though. This is something I’ve really been trying to focus on personally. I’ve had a relatively easy life and can’t even identify a reason that I should be having feelings of scarcity, but I know that I’ve been making job and money decisions from that viewpoint. The trouble is, even once you take that first step of recognizing the different attitudes, and the second step of wanting to change your own thinking, the real hard work is still ahead. For me, at least, it’s a constant battle to be aware of the choices I’m making and examine the rationale and emotions behind those choices. It’s an ongoing struggle to try to choose to see things from abundance rather than scarcity and I suspect it’s going to be a slow (but incredibly valuable) process. Having a scarcity mindset with money isn’t a bad thing when you’re young. You can save more and build a solid foundation for the future. Once you’re older and more comfortable, then you should loosen up a bit. That transition isn’t easy. Our HVAC has been broken for 5+ years. Life would have been a bit more comfortable if I just fix it. We made do, though. Now that we’re doing well financially, we should spend more for comfort. Easy to say, but difficult to change the habit. With the stock market doing so exceptionally well, I think you can ‘sacrifice’ and sell a little bit of your profits and get yourself a smaller version of that hot tub. You technically only need one that is a perfect fit for just two people. Perhaps if you downsize in size, it will be more affordable to you and your girlfriend. I know for a fact that the two of you would just love, love, love your new hot tub AND be appreciative. Please don’t go without your hot tub. Try to cut back in other areas so that you can make it more affordable. You live in your new home each and every day. Make it the most wonderful, joyous place on earth (within reason). I agree with Cindi, get the tub! My grandmother is 100 years old. At 97 she bought herself a (second hand) walk in tub which we have affectionately nicknamed “the old lady tub”. Since that purchase not only has her quality of life improved but her grandkids and great grandkids have a blast taking baths in there. She was so hesitant to spend the money and after seeing the amount of joy it has brought I tell everyone to go out and buy whatever their version of the old lady tub might be. If you were $100k in debt and unable to keep your utilities on it might be a different story but someone who has money in the bank and a reasonable “want” item should think of the value of the time spent with that want item. I think you’ll enjoy every penny of that expense. We got married young and up until 10 years ago, money was always scarce. When our financial scene greatly improved, our spending increased along with it, much as a swimmer out of air gasps for oxygen when breaking the surface of water. We wanted to fill up! Out of necessity, we’d had very little, and then things changed and we wanted all the things. It didn’t take long to realize all those things didn’t make us any happier. In fact, we felt pretty precarious because we hadn’t saved much of the excess. A few years ago, we began focusing on paying off debt, selling and giving away all the extra things we’d accumulated. Instead of feeling empty or deprived, we felt exactly as you did. First, we realized how much stuff we had and second, it felt good to get rid of it. It felt like a burden had been lifted. We felt light and free. We enjoyed keeping a few things that truly added value to our lives and saving money so we never had to worry. It’s true that having a little can bring gratitude and contentment. I’m glad we were able to see that soon enough and start spending more intentionally. Fear is a terrible master! Kara, I was kicked out of home at 16 and became a mom at 19 and as a result money was always tight. Even when I started earning a good income, I was so used to living with nothing for so many years, I made interesting choices- my last two houses have cost over 50% of our net pay in mortgage payments. Consequently money is still an issue despite us having no other debt and the kids now out of home and independent. Fortunately this is our forever and dream home, but even so it comes at the price of considerable freedom. Another spot-on post from J.D. Terrific topic and great insights! The jealousy/spite section is a topic not many write about, but you see the effects of it all around in some of the FI community comments. Regarding jealousy, I particularly like the insight Julie Cameron wrote in her book, The Artist’s Way—that one should use jealousy as a COMPASS. When you feel the prick of envy, stop to identify what it is that that other person has that you think you deserve; and then use it as a compass to direct you to take steps to get that for yourself. Useful advice. The Hot Tub. Well, it might not just be scarcity mindset, but something else nagging at you (like volatility in the market and having just invested a whole lot in a new home). You don’t lose much by waiting for six months more, putting aside a bit here and there so you feel like you have a dedicated fund for the Tub. There have been times when my SO and I have deferred a large purchase that would bring us a lot of pleasure, and it has been all the sweeter when we finally felt we were ready to spend. The rest of us will enjoy your Tub vicariously! Great post :) I enjoyed reading it. It IS difficult to change a scarcity mindset that is so deeply ingrained from childhood, I’d say it’s darn near impossible but yes, there are ways to ‘train’ oneself into not giving in to negative behavior. I’m the shopaholic and big spender and I’ve spent my way to bankruptcy twice and foreclosure three times. My second bankruptcy was almost 9 years ago but I’ve rewired my brain a little bit since then. With the help of TV programs such as ‘Hoarders’ and ‘Hoarders: Buried Alive’, I have been able to associate both the emotional AND the financial opportunity cost to the acts of spending and hoarding. For example, if I keep hoarding and then die, I will be leaving a mess behind for someone else to clean up, not to mention the money spent acquiring the hoard in the first place. Also, if I spend and hoard, what better use would that money have had if it had not been spent on a hoard? Then I think of the house falling down around the hoard because nothing would get fixed and so on and on ….. it’s hard to retrain that brain! But I’ve succeeded. In less than 9 years, I have gained a net worth of $600,000 which, having started from being bankrupted, shows me daily that I continue to change that horrible scarcity mindset. Still a work in progress however. There are still days that challenge me. However, the difference now is that I do NOT go to the mall, I don’t go to the car dealership and I do not buy houses I cannot afford. Wow, Sandy! Good for you for “retraining your brain”—-few have that kind of insight into themselves or take the kind of action you have to overcome a mindset that led you into bankruptcy and hoarding behaviors. Hats off to you for turning your life around. But, yeah, it’s an ongoing process, day by day! Work-In-Progress—love that. Thank you :) I guess for me it has been a case of finding inspiration ‘where I find it’ and I seem to relate well to the emotional struggles of other people. In the generosity that they have shown in allowing their difficult hoarding lives to be filmed, I have been able to see that (a) I’m not alone in my own pathological behavior and (b) I WILL end up in the same exact situation if I don’t change. I must also say that back in 2009, getrichslowly.org was one of the sites I visited daily and that, too, helped me to rewire this defective brain of mine! It has all been down to learning gradually from others. I have a but of a scarcity mindset, but i think mostly I’m just naturally an acquisitive person. In games i am always the one with modest weapons but a huge bag of “gold” :D. I get through it by setting metrics. It can be something like setting aside designated funds or allowing myself to purchase something when I hit a goal. The problem for me is convincing my mom to spend money that would make her life significantly more comfortable. She has the money but can’t seem to allow herself to spend any of it and lives only off her fixed income. I can relate to the issue with your Mom. My father had plenty of money in the bank, but I had to convince him that going into a room at assisted living with a shared bathroom wasn’t the best thing to do. He could have afforded a much bigger and better place, but he was a child of the depression. He also spent a year heating water on the stove because he wouldn’t spend money to fix the plumbing in his house. Another great post! I sometimes think about the scarcity and zero-sum game thinking in the way that people do discussions. Is it that we will reach the outcome of “one will loose, one will win”? Or can we have a discussion where we will reach a new, higher level? It is often enough that one person in a group is in the zero-sum mindset. I work with rhis myself. About if one can afford something or not, I suppose you need to have rules set up? For example, only buying stuff from a certain savings account. I am greatful for input on how to do this. I really struggle with this myself, but I think this is what me and my wife needs right now. I found that if I set up savings accounts for specific purposes (emergency fund, vet, vacation, Christmas Club, etc.) and have money automatically transferred every month, it makes it easier to spend on those items when needed. If I have to “borrow” from another account, I’m upset. It tends to limit your spending, but makes sure the funds are there when you need them. Wow – what a thoughtful article. Must pondering to do. I’ve said it before regarding the hot tub as a comment on another post, but I’m going to suggest it again: when you look for a hot tub, look at Arctic Spas. They use the heat from the water circulation motor to heat the water and they are MUCH more efficient to run than most brands. The way they insulate them makes MUCH more sense. We had a different brand hot tub that died, and when we replaced it with an Arctic Spa, our electricity usage dropped noticeably. No, I’m not affiliated with them ;-) Also – I will never build another deck from anything but plastic lumber. Real wood requires too much upkeep in the PNW! Now that I have some net worth, but fewer opportunities to significantly recover money through work, because of our current location and my more advanced age, I find I have more of a scarcity mindset. As the CFO of the family, I hope that my family will agree that we spend money intentionally and that I’m open to discussion when we disagree about how to spend money, but I’m sure that there are times the kids and DH feel scarcity. I’m glad we chose an area where we’re about average in terms of spending money on extras, or it would be harder on the kids. We are also clear what our priorities are (THEM, time with THEM, education, health, food, safety, creating memories, having money to retire on) to frame our discussions about spending. My mom always wanted to spend more money on nicer things than my dad allowed her to (yep, Dad’s single-minded tightness was a family issue), but I think the scarcity mindset for her really set in watching her mom lose her independence financially before she died at 90 and working with seniors who were obviously struggling financially toward the end of their lives. After my dad retired, she worried about spending any significant amount of money to ensure she’d have enough until the end of her life. Unfortunately, she died last year at 74 of a hemorrhagic stroke. Dad is adjusting to having to make all the day-to-day financial decisions without her input, and is quite generous in sharing their money with us kids and grandkids, in honor of my mom. In other words, we change with the situations, too. Great article, and something that really hits home in all of us to some extent. It’s counter intuitive to give away something that you are hording to get more in return, but it tends to work. There’s also a certain amount of faith that comes along with that. And that people tend to have a tough time with. They need to trust that it will work. But like you said… as soon as you start seeing it work, you can start applying it else where. It’s pretty amazing… Now, to forward this along to folks that it really might help! I’m not sure why you would think leaving your house half done is somehow rational. Your house does not become actualized as an asset till it’s finished. Till then it’s a half asset, so those mutual funds are already spent one way or the other. Pay me now, pay me later. It just depends on how much or little use you want from your deck in the mean time. Exceptional article! This is the well-articulated story of my economic journey!!! Believing in Abundance and knowing we have enough allows us to be generous toward others. Totally not the way my parents raised me, but loving one’s parents should not sentence the children to being imprisoned by their limiting beliefs! The above story is nice and perhaps what people want to hear but I’m not familiar with any scientific data that backs up the author’s conjectures. There’s a scarcity of high paying jobs where I live–this is due to our thinking? Hard to prove this scientifically. The fastest growing occupation in my area is waiter/waitress, not high paying positions–Is this a thought issue? By changing my thinking my odds of winning the job market lottery are better? If all the people at the bottom changed their thinking today they could become millionaires? Do the math, the financial growth required to accomplish this would make the event highly unlikely. Doug, I’m confused why you would try to apply a personal principle — choosing the lens with which you filter what happens to you — and apply that to larger societal issues. How would it make sense that a scarcity or abundance mindset from an individual would affect the quantity and/or quality of jobs in your areas? Does it sound like I’m trying to say this is the case in the article? Because if it does sound like that, I’ve done something wrong. When I re-read it, though, that’s not at all what I get. Nor is there anything where I make any sort of claims that just changing your thinking is enough to make you a millionaire. Far from it, in fact. In the article, I explicitly scorn this sort of magical thinking. I almost feel like you didn’t read what I wrote but instead chose to respond to what you imagined I said. I’ve never heard of these mindsets, enlightening. Makes some sense though. I forwarded to my wife, she is abundance and I’m scarcity. When we are buying something, job searching, school applying etc. she usually waits for the best deal knowing it will come, I fear loss (loss aversion) that a better deal wont come along. We balance each other. Loosening the purse-strings isn’t easy but I’ve found it helpful. Taking an example from Physician on FIRE, we started a donor advised fund last year. It’s liberating what spending a little can do, especially on others. I do worry that it’s easy in the bull market and I’ll revert “to my mean” in the next downturn, we’ll see. Before reading this post, I was pretty sure I’ve nailed the abundance mindset. However, I was mistaken, there’s still so much to learn. I’m quite young, and by now I have achieved a lot in understanding the meaning of money in my life. But that’s just halfway, if not less. I will try to use the strategies you’ve presented here, and I hope I’ll succeed. Thanks a lot!